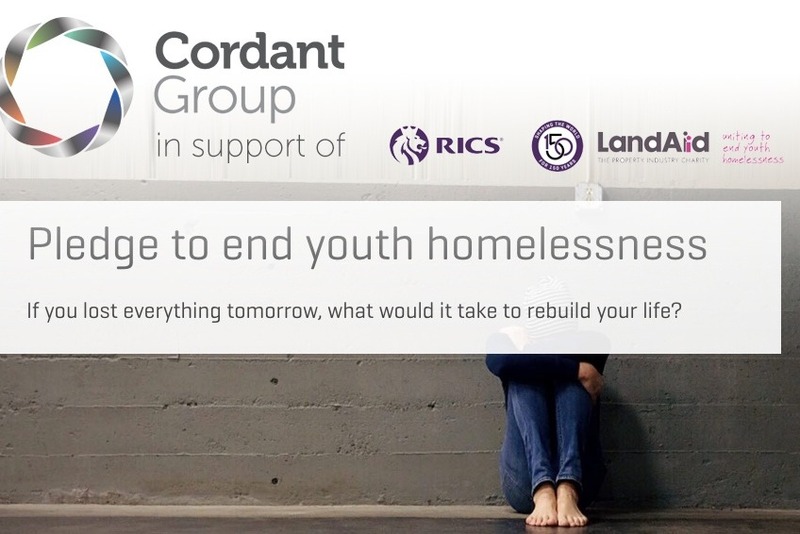 Cordant are supporting RICS to achieve their goal by celebrating LandAid Day, 1st November 2018, which this year is themed around Health and Wellbeing. This year over 80,000 young people in the UK will be homeless… But youth homelessness is a problem that can be solved. The Royal Institute of Chartered Surveyors (RICS) Pledge150 campaign aims to protect young people at risk of homelessness across the UK, and in partnership with LandAid they’re on a mission to raise £2.25 million and fund 150 bed spaces by December 2018.